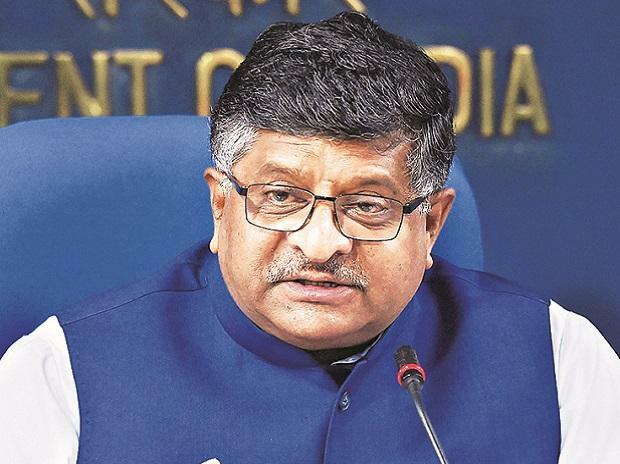 Union Law and IT Minister Saturday cited a Supreme Court ruling to stress that privacy of data should not kill innovation and shield corrupt, terrorists and criminals. Also, there is a need to strike a healthy balance between data availability, utilisation, innovation and privacy of data, he said. "The Supreme Court has said privacy can't kill innovation. Innovation must be allowed to grow. Secondly, privacy can't shield the corrupt, the terrorist and the criminals," Prasad said at the Financial Inclusion Summit 2018 organised by the CII here. He, however, said that due respect must be given to sensitive data. Innovation in the country has increased and Indians are adopting technology very fast, the union minister said. "FinTech (financial technology) has done a great job in empowering digital profile of India. Payments through BHIM app has crossed Rs 57,000 crore in September," Prasad said. On the occasion, NITI Ayog CEO Amitabh Kant said that privacy law is required in the country for use of data by private sector players. "Unlike America where data is owned by Google and Facebook and unlike China where it is owned by Tencent and Alibaba, data is owned by public entities here in India. It's owned by Aadhaar, GST and Ayushman Bharat... if you want very innovation (then) lots of these data need to be put out in public domain," Kant said. He added that there is need to bring industry, academia and others to do research on data available with public departments to push innovation in the country and make processes paperless. Kant said there are challenges around and a privacy law is required to address issues around data usage. "Aadhaar act does not recognise the power of paper. The paper that is used is of no use. The act recognises only biometrics. The paper will again take us to stone age. My strong belief is that India must come up with a privacy law and India must allow private sector to innovate. That is the only way India will move forward," he said. However, a recent judgement by the Supreme Court restricted use of Aadhaar based online verification of customers by private entities by striking down section 57 of the Aadhaar Act. Last week, the Department of Telecom (DoT) allowed use of paper copy of Aadhaar for telecom verification. "If there was a privacy law in India where individual data is secure, SC would not have struck down Section 57. In financial inclusion, mobile telephony will play a key role to reach the last mile and make it paperless. Innovation will happen through private sector," Kant said. He said India's future lies in paperless access to all financial products on mobile phones because India is a country with billion plus mobile connections. "I use my mobile phone to make digital payment. All my digital payments are made by my mobile phone... I repeatedly say this, physical banks will die, physical managers will die. Data analytics will hold the key," Kant said.